Apran is a family business that has recently opened its doors to everyone. As a result of everyday life and increased stress within the family and at work it has become extremely important to support and optimize your health, in every way possible. AnnemiekWe, the Schwagten Van Hese family, keep us already engaged in the business of dietary supplements for many years, and we are ready to answer the question which and how many of these vital substances should be consumed daily to bring a constant, optimum performance. Over the years, we have encountered many non usable products and we had to gain some negative experiences so as to obtain more and more knowledge to finally identify which substances or what combination of substances help. In order to be able to share our acquired knowledge further, we have finally decided to set up a family business and then… Apran was a fact. I, Apr. 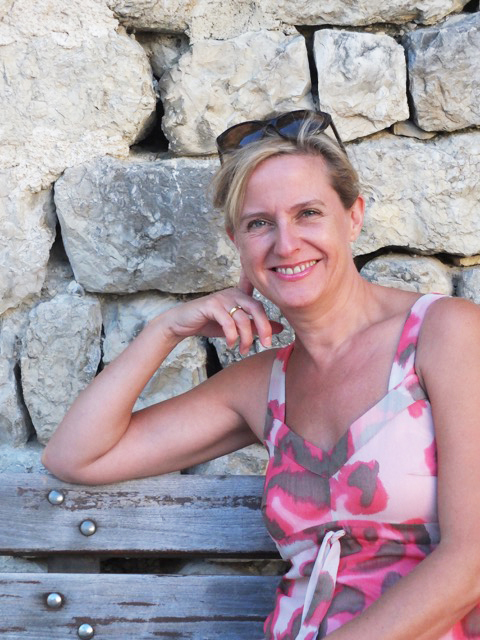 Annemiek Van Hese, am a pharmacist with experience and the inspiration for the name Apran. At Apran, you will find, the personal and expert approach are intertwined. With the support of my husband, Dr. Hendrik Schwagten, dentist and oral surgeon in Luxembourg and our two children, Annerick and Sebastian, I have founded Apran to share our knowledge of vital substances with other people. We also know how difficult it is to find the right way in the maze of supplements and want to help you, lead your hand, if needed. The original goal was to find supplements for ourselves, and that is how we ended up testing each product personally. Only those substances that are good enough for us, are then incorporated into the Apran family. Moreover, we do not restrict ourselves to the search for new products in Germany, the country where we live now, but spread across the globe. Our thinking and reach are not limited and we are always open to new things out there in our world, some taking time and effort, and some that do not even exist yet. We seek and follow the changes that take place all over the world and you will not find us stuck in the old ways. Maybe you too, like us, have stumbled upon many obstacles an have suffering behind you. Take the advantage we offer you to take a shortcut and to hit the right track immediately. We have after all gone through many bad experiences, why should not you avoid it then? We would gladly answer your questions. Simply send us a message via email (hello@apran.com) and you will quickly receive a reply from us. It is our mission to help you. If we cannot answer your question directly, we will make every effort to find the answer for you as soon as possible. It is extremely important that if you take or want to take vital substances, always consult a doctor or specialist, as we provide only general information, do not aim to diagnose or treat. 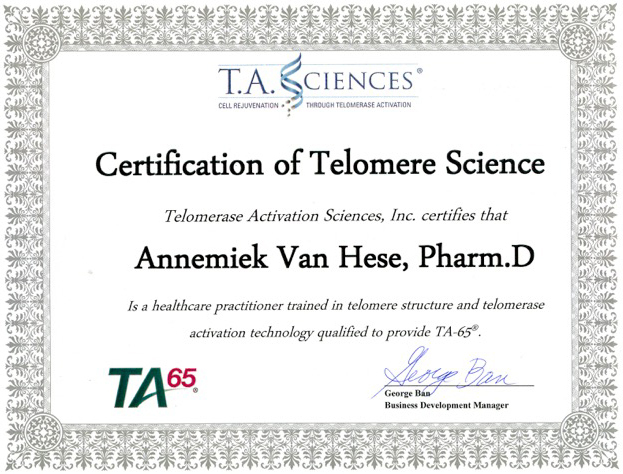 Annemiek Van Hese is certified by T.A. Sciences, a market leader in anti-aging products.